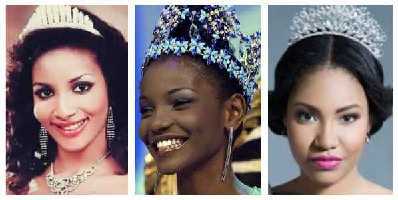 beautiful girl in Nigeria (MBGN) beauty queens of all time. MBGN pageant has been held 31 times since 1986 and has been won by 31 different women from Nigeria,nevertheless listed below are the top 5 MBGN most beautiful beauty queens of all time. The Most Beautiful Girl in Nigeria pageant is rated as the biggest beauty pageant in Nigeria. The Most Beautiful Girl In Nigeria also known as MBGN is proudly organized by Silverbird Group. ''Miss Nigeria'' lost its license to send delegates to Miss World and Miss Universe. The pageant was formed in 1986. MBGN is a member of Miss World,Miss Universe,Miss Intercontinental and Miss Africa. Every year beautiful Nigerian women take part in the pageant,prices to be won include a cheque of 3 million Naira and a car. There are other awards to be won by MBGN contestants such as Miss Photogenic,Miss Amity,Miss and Best Traditional Costume. Since the beginning of the MBGN pageant,Nigerian women from the Igbo ethnic stock has been dominating and winning the pageant. Since 1986 the MBGN pageant has been won 17 times out of about 31 times by Igbo women. Bianca Odumegwu-Ojukwu was born Bianca Odinaka Olivia Onoh in 1968. She won the Most Beautiful Girl in Nigeria pageant in 1988,she was also Miss Africa and was the first African to win Miss Intercontinental. Bianca was educated in Enugu State Nigeria and the United Kingdom. She represented Nigeria at the Miss World pageant held in Hong Kong in 1989 and the Miss Universe Pageant held in Mexico. Agbani Darego was born Agbani Asenite Darego in 1982. In 2001 she became the first native African to clinch the Miss World title which is still MBGN's biggest achievement till date. She won the title when she was still an undergraduate at the University of Port Harcourt,she later went ahead to enrolled with New York University where she bagged a degree in Psychology. The beautiful Munachi Abii was born Munachi Gail Teresa Abii Nwankwo. Muna won the Most Beautiful Girl in Nigeria (MBGN) pagent in 2007. The Imo state indigine was born and raised in Port Harcourt Nigeria. Muna had her secondary school education at the Federal Government Girls' College,Abuloma,she later went ahead to study International relations and Diplomacy at the Benson Idahosa University. Ana Banner was born Anna Ebiere Banner in 1995. Ana won the Most Beautiful Girl in Nigeria MBGN pageant in 2012,she went ahead to represent Nigeria at the 2013 Miss World pageant. Adaeze Igwe was born Adaeze Stephanie Chinenye Igwe in 1990. Adaeze won the MBGN pageant in 2008 and represented Nigeria at the Miss World 2008 where she made the top twenty in Miss World Talent and placed second in Miss World Sports. Adaeze is from Awka-Etiti Anambra state but grew up in Enugu state Nigeria. Listed above are the top 5 most beautiful (MBGN) beauty queens of all time.